Open the Project Properties window for the application being debugged. 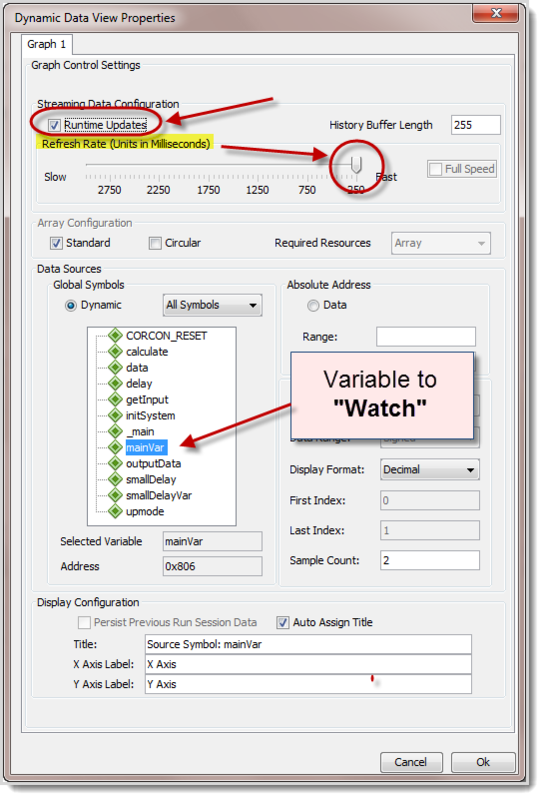 Select the MPLAB® REAL-ICE™ as the hardware tool (Runtime Watch will only work with a Real-ICE debug tool). Start the debug session by clicking on the Debug Icon . 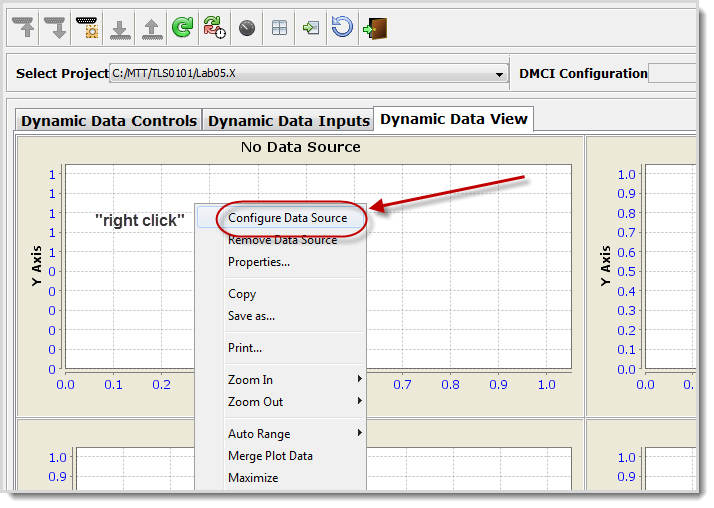 This will cause the project to build, allowing the DMCI plugin to identify all the application variables. Pause the debug session with either a break point , halt-on-main, or a manual pause. 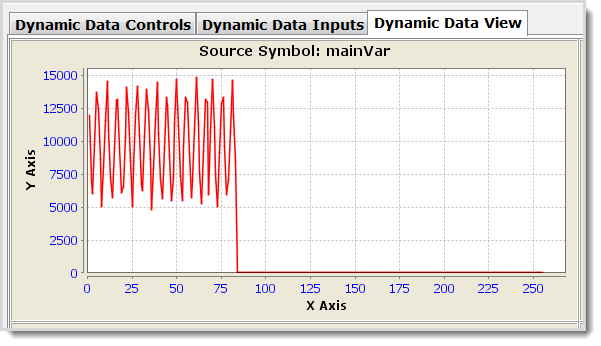 Check "Enable Operation" then "OK"
Click on the Run Icon to continue the simulation and watch the value of the variable update in the graph as the application runs.